Some books are to be tasted, others to be swallowed, and some few to be chewed and digested: that is, some books are to be read only in parts, others to be read, but not curiously, and some few to be read wholly, and with diligence and attention. Sir Francis Bacon English author, courtier, & philosopher (1561 - 1626). University College of Engineering Ariyalur is one among the Constituent College of Anna University, Chennai by the Government of Tamil Nadu. UCEA College library has been established in the year 2009. Library has 14130 volumes of books covering all major fields of Science Engineering and subscribes to most of the major technical journals, magazines and newspapers. 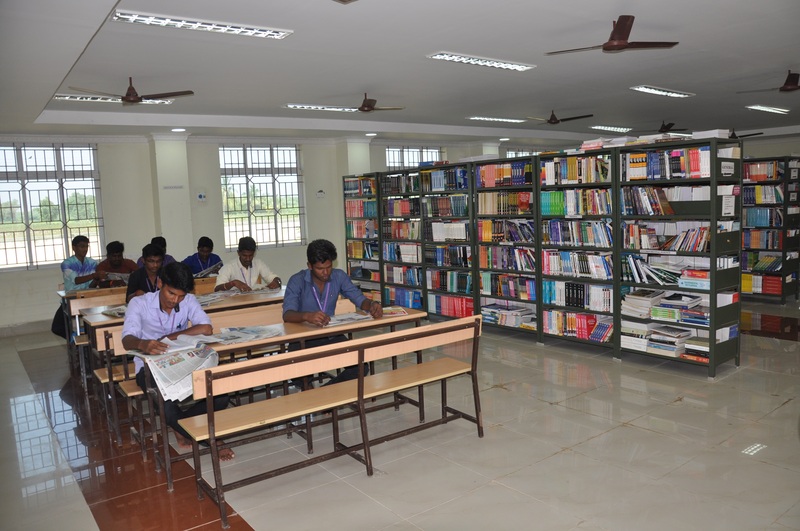 The Library has the following facilities for the faculty, staffs and the students: Periodical section, Reference Section, Internet, CD-ROM collection and a separate section of Competitive Exam Books. General Information Library Hours - Mon - Fri 8.45 am to 4.45 pm. Circulation - Mon - Fri 8.45 am to 4.45 pm. o	Users are requested to enter your details in the Library Gate Register. o	Books will be issued only on production of ID card. o	Books borrowed must be returned on or before the due date. o	Only one renewal can be done at any one time. o	Books will have to be physically presented for renewals. o	Users are requested to verify the physical condition of the book/s before borrowing. o	For late return of books, overdue charges will be collected as per rules in force. o	Users are required to observe silence inside the library. o	Misuse of library facilities is an offence and calls for punishment as decided by the competent authority. o	Users are required to keep the library and the campus neat and tidy. The borrowers are responsible for the books borrowed on the library. Loss of books should be brought to notice of the librarian immediately. However, the borrower must replace the lost books with the latest edition along with the overdue charges and service charges, if any, within 30 days. If in case the book lost is out of print, twice the cost of the books at the time of purchase in the library along with overdue charges, if any, will be collected. TOTAL Books - 14,124, Current Periodicals - 30, Newspapers - 08, Educational CD's - 495 , UG project Reports - 181. Reference Services, Current Awareness Services, Question Bank.